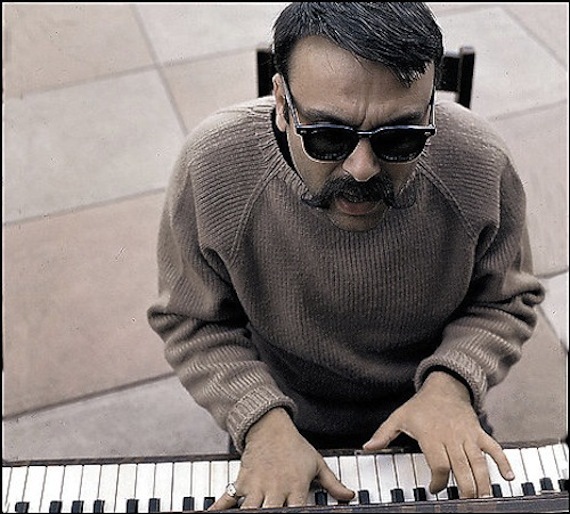 Over the course of next eight weeks the probability of hearing Vince Guaraldi goes way up. This is, of course, a good thing. Guaraldi’s score to A Charlie Brown Christmas is nothing short of brilliant—but it ain’t Christmas-time just yet, folks. Below is something just as good. In terms of Guaraldi’s varied career I’ve always viewed the Peanuts scores as a peek down the Guaraldi rabbit hole. As the televised specials moved into the late sixties and early seventies so did the music. Guaraldi, a bay area bohemian of the old school, infused layers of funk, soul, r&b and all manner of groove into the latter specials. His underused vocals reeked of a smoldering blue cool that can’t be faked. The below two tracks are culled from volume one of the high recommended compilation Lost Cues From The Charlie Brown Television Specials. I’ve got Peanuts stuff and the record with Bola Sete, but I’ve never heard Vince sing until now. Groovy stuff! I was half-listening to CB Thanksgiving playing in the other room the other day and I was wondering about the vocals. It had a kind of Jack Sheldon quality and there wasn’t much in the way of credits at the end of the show. Mystery solved! thanks! Kinda like Mose Allison but smoooooother. Nice. “The Eclectic VG” has him singing a couple of Tim Hardin songs, but I really like these two Peanuts tunes more. Did VG do the lyrics too, or was it Schulz? Thanks for the post. Fantastic music from on of my all time favorites musicians. I really appreciate how Guaraldi created music that stood out for me as a kid, and that I love as an adult. @David J: Vince wrote the lyrics to Joe Cool himself (I’ve seen his own handwritten original lyrics, submitted to the Copyright Office when he registered the song in May of 1973!). I presume the same is true for “Little Birdie,” though he didn’t file a Copyright Application for that particular composition.